The search returned one guest house. 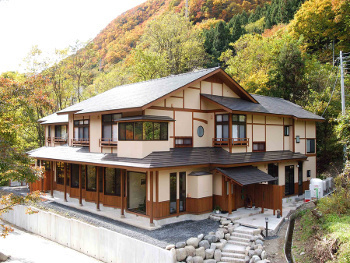 The Joetsukan is in northern Gunma and is a small, traditional guest house in the Minakami onsen region. Situated in the small town of Oana, it overlooks the Tone river. It only has five rooms, all different. One has its own outdoor bath fed from the local hot springs, and there are two other outdoor baths with views of the river and mountains. The food is traditional, with locally obtained fish, meat and mountain vegetables. There is much to do in the area, from rafting to bungee jumping. Or you can just stroll to the nearby beauty spot of Suwa gorge, or experience the range of hot springs in the vicinity.